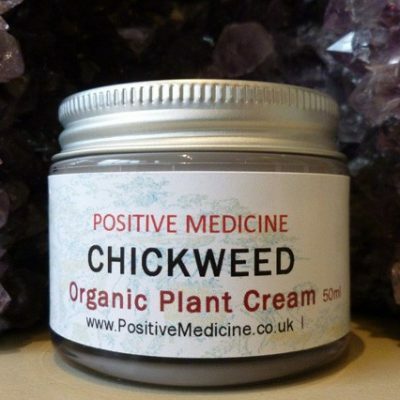 Chickweed Cream calms and cools the skin. 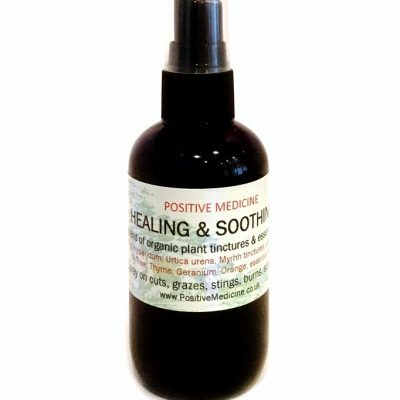 It has a long history of use to relieve skin irritations such as dermatitis, hives, eczema and psoriasis and is mild enough to use on baby's skin. 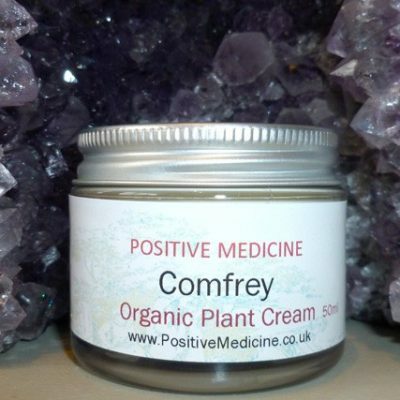 Works as an anti-inflammatory, helping soothe itchy, irritated sunburnt skin. Contains vitamin A,E and F.
Is a natural moisturiser because of its content of unsaponifiable fats. 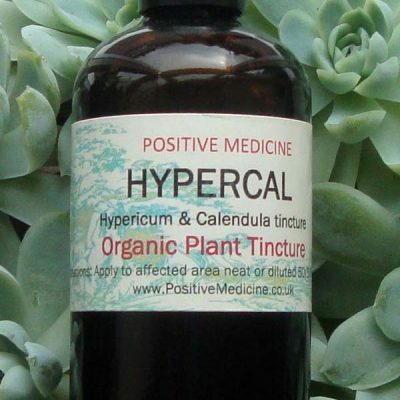 Helps keep the inter-cellular structure of the epidermis intact and effectively keeps bacteria out. Prevents dermal irritation and regenerates the skin. Particularly useful for those looking to improve the appearance of dry skin. Habitat: English and European waysides and waste ground. Chickweed is also often found in gardens and cultivated ground. Parts used: The whole plant collected in the Spring. History: Chickweed, the common name, was thought to have come about because the plant was popularly used for feeding birds and chickens. However is has also a long history of being used for humans in various ways. Country people, in the Middle ages, used chickweed juice as a treatment for scurvy so it may well be a good source of Vitamin C and other nutrients. 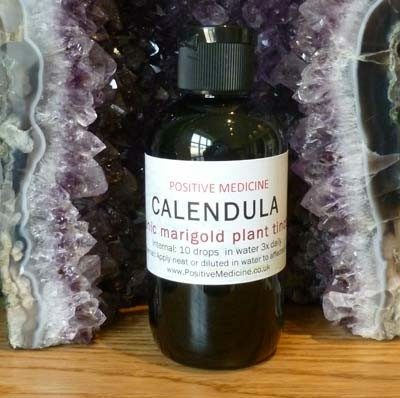 Culpepper calls it a ‘fine soft pleasing herb, under the dominion of the Moon and is effectual for all impostumes and swellings, whatsoever; for all redness in the face, wheals, pushes, itch or scabs, the juice being either simply used, or boile din hog’s grease’……today we tend to substitute the hog’s grease for something a little more appealing such as shea butter and evening primrose oils.